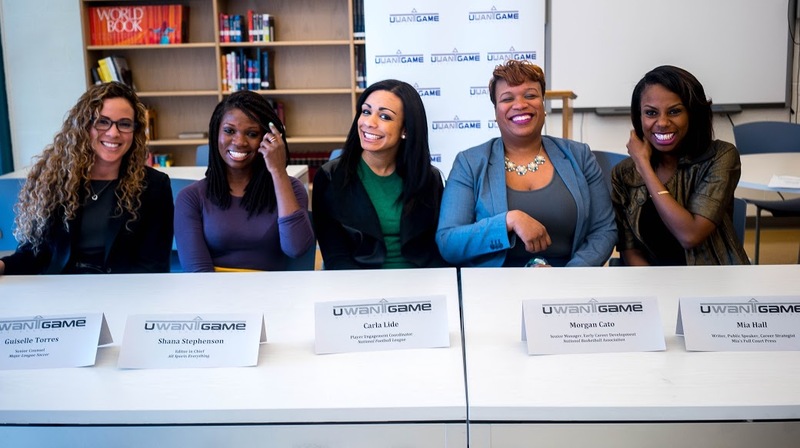 On March 23, 2016, UWANTGAME hosted its monthly sports business panel discussion for NYC high school seniors at the Business of Sports School. The theme of this particular session focused on “Women in Sports” and therefore featured successful female sports executives as guest speakers. The panel consisted of Morgan Cato (Senior Manager of Early Career Development at the NBA), Carla Lide (Player Engagement Coordinator at the NFL), Guiselle Torres (Senior Counsel at the MLS), Mia Hall (Writer, Public Speaker & Career Strategist), and Shana Stephenson (Editor-in-Chief of All Sports Everything). 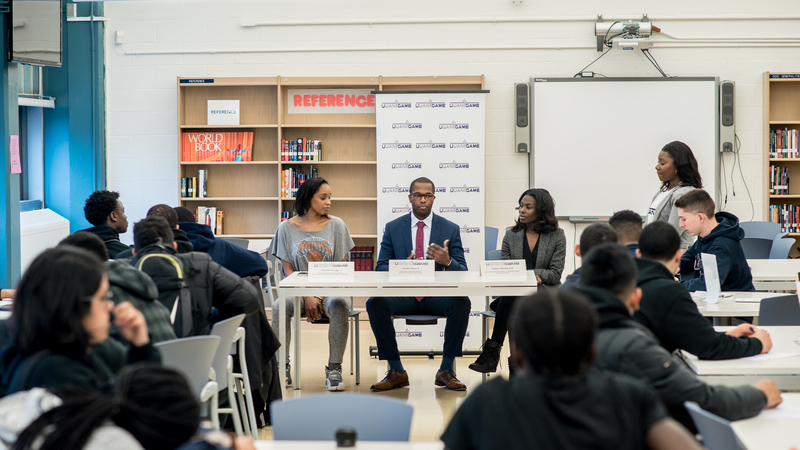 Among the topics of discussion were the paths each took to discover their respective passions within the sports industry, the experiences that shaped their career development, and some of the mentors that helped lead the way for them, among other themes. Check out the video above to hear some of the advice the guest speakers gave students at last month’s panel discussion.